According to comScore, as of end of May, the ratio of consumer phone users in the US (aged more than 13) who use smartphones as their primary phone has reached 47%. The question is whether this is reaching saturation. My guess has been that saturation will be at levels well above 80%. The data shows that during May the rate of smartphone adoption (first time users) was 630k/week. This number is a good recovery to above the historic mean indicative that saturation is not yet in effect. 50% penetration will happen this summer. A year ago the predicted “tipping point” date was also the same: August 2012. 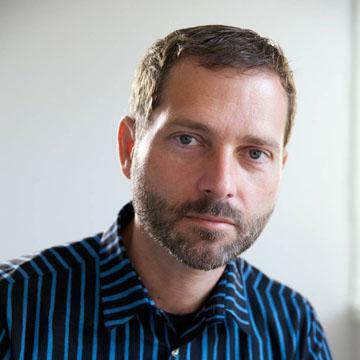 The platform shares data is also returning to a historic consistency. A month ago I asked if there was “trouble with the robot” because Android net adds dropped to a level unseen for two years and the decline in net adds had been going on for four months. This last report shows a recovery in Android net adds to about 1.5 million new users. 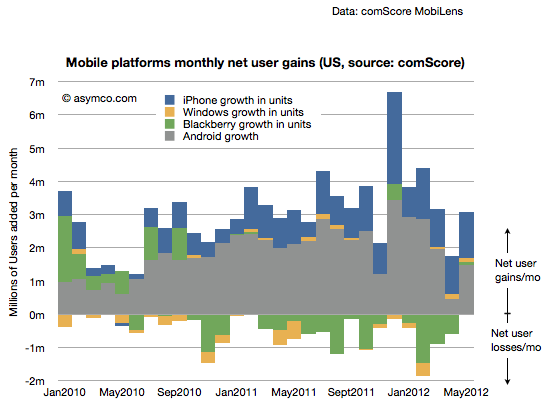 In terms of share, Android shows two months of no growth. 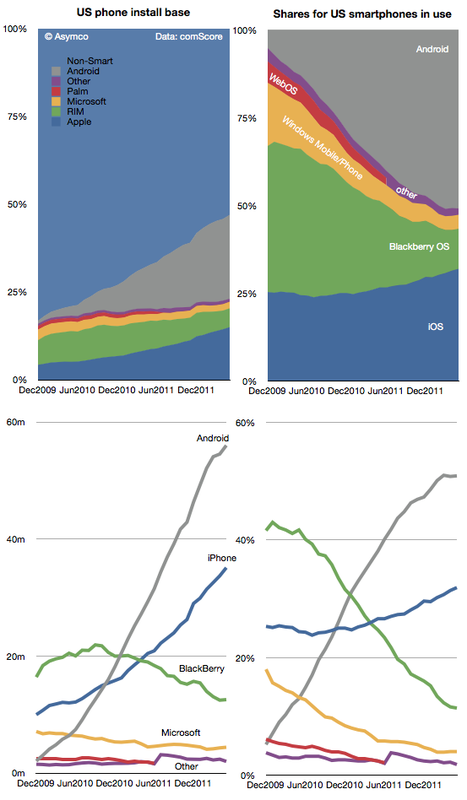 The following charts show the history of platforms in terms of share and actual units in area and line charts. I’d say the jury is still out on whether Android has “peaked” in the US. Globally, the rate of additions seems to still be increasing but in the US we might be seeing the effect of upgrades as many first time Android buyers are reaching the end of their contracts. iPhone and Android “purchase rates” are already at parity but the install base might take some time to converge. With half the population still not using smartphones, there is still headroom for the platforms, but the inter-platform dynamics are becoming very interesting.